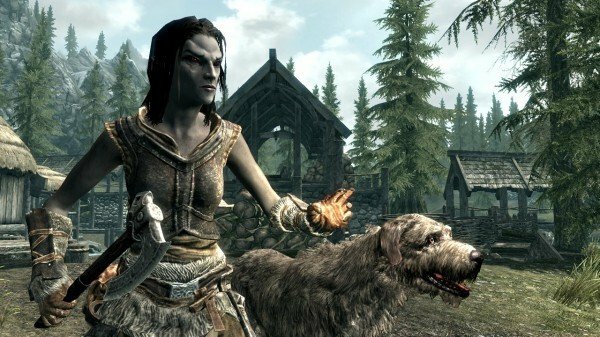 A day one patch will be available for The Elder Scrolls V: Skyrim, as mentioned by a circulating e-mail from Bethesda Softworks. The video game company has also gone a step further in mentioning some interesting tidbits regarding future downloadable content for the game. The above-mentioned patch is good news for fans of the franchise who worry about glitches and bugs halting their dragon-slaying progress. Bethesda representatives tell reviewers of a day one patch that “fixes some minor stability and quest progression issues.” I personally enjoy stability and quest progression, so this is a win/win for me. To add to my growing anticipation, creative lead for Bethesda Game Studios, Todd Howard told Wire earlier this week that DLC for the upcoming juggernaut will be “bigger and more substantial”. “We’re not going to do be doing a lot of it. Our high-level thinking is that there’ll be not as many,” Howard claims. The Elder Scrolls V: Skyrim will be released on Friday, November 11. Check back tomorrow for our full, in-depth review.